This new volume proposes, in similar format but with recent photographs, illustrating the painting in their present state, the new edition of the book dedicated by Richard Offner in 1947 to the workshop of Bernardo Daddi, artist very much in demand in the first half of the 14th century. To some 70 pictures catalogued by Offner with entries which are now updated with new data on state and history as well as with bibliography, ten further, hitherto unpublished or little known items are given in this edition. 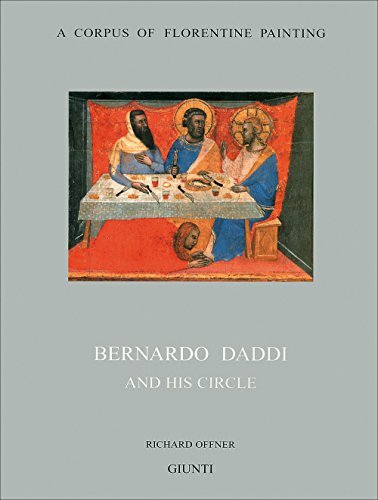 The survey offered here makes the circle of Daddi, where several of chief figures of the Florentine painting in the second half of the Trecento were formed, one of the better known areas of the history of Italian painting of the Middle Age and early Renaissance.